The 2018 Annual AAFCO meeting is fast approaching – July 30-August 1 in Ft Lauderdale. Not planning on attending? No worries, Next Gen PFMA will be there representing its members. SUIP GRAS self- determination (SUIP stands for Statement for uniform interpretation and policy) – if you use ingredients which are GRAS self determined, here is where your guidance lies, currently. It may change if it’s made into a regulation – in which case so may the guidance. SUIP vitamin/ mineral units work group – ensuring consistency and modernization of vitamin and mineral units. For example, the use of pounds in modern times is obsolete. Industry stakeholders update. This is our opportunity to share our members view of the industry. Please contact me if you have anything you would like mentioned. Direct Fed Microbials work group – goals range from editorial corrections, to properly identifying microbials (due to misclassifications), to determining safety of some organisms. For any manufacturer using probiotics, the outcome of this working group will result in changes in how direct fed microbials are listed on labels. 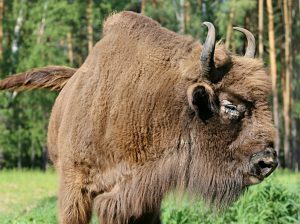 Bison/buffalo – everyone thinks they know what “Buffalo“ means. But does the consumer? If it says Buffalo on the label is it American Buffalo or is it water buffalo? This working group intends to address that issue. Hemp updates – hemp and cbd ingredients in pet food and treats continues to be illegal. A group of interested parties has been working to gather the Information needed submit materials to demonstrate the safety of these ingredients. Label updates. Over the last two years, four working groups have met to make pet food label update recommendations which incorporate the mandate by FSMA to provide better information clearly to the consumer. Recent progress has been on the level of writing the regulations. Specific member updates will be forthcoming after the meeting concludes. It’s worth your while to attend at least one AAFCO meeting in your manufacturing career. It is always informative to see how the regulatory process works and how decisions about your business are being made. In lieu of attendance, know that you are represented by Next Gen PFMA. Updates will be posted during and after the meeting. Next What is the problem?